Below are some links to some services or artists that support the Houston Music Scene. Thank you for supporting The Stringbenders and Live Music. 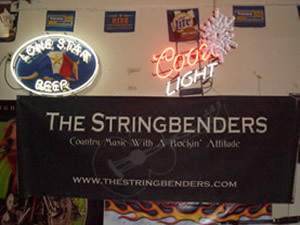 Contact us if you would like a banner to link to www.thestringbenders.com. This website content (c) 2007 by Tracy Park. All Rights Reserved.